Why should companies invest in SEO? Nowadays, most companies know the wisdom behind investing into developing solid, SEO optimized web infrastructure that is search-engine friendly in order to successfully compete online. Having a solid and well-thought of SEO strategy is all but a necessity. Given the engines’ continued improvement of their algorithm systems over time, companies have no other choices left than to invest into SEO to compete online. In this jungle of investors and competitors, having the best product or services does not mean anything without visibility. In order to prove yourself, you have to be visible to the world. If a company does not invest into SEO, how will the world know what they have to offer? Master planned SEO campaigns are the success factor for billion dollars companies. How a product or service went from an unknown status to a world known buzz can all be due to SEO. Unlike PPC, companies don’t have to pay everytime someone clicks on a link. PPC can prove to be spammy. It is well known that 80% of people click on natural results rather than on paid advertising campaign. The reason may be simple as the more authority a website has, the higher it will be in the Search Engine’s Results Page. And to get a website higher up in the SERP, nothing is as much effective as SEO. Search Engine Optimization will do nothing less than improving your brand name. It still works – Firstly, the techniques used to improve a website’s SEO still works! Even though Google only recently removed data regarding organic traffic, the techniques employed still prove themselves to be extremely effective. It is not going to stop working any time soon – The never ending race of the search engines to improve their ranking systems will not end this soon. The biggest shark out there- Google- plays big, regularly improving its algorithm. It is not likely that SEO will stop being effective in the foreseeable future. Even audio and video searches ultimately depend on keywords the same as traditional text-based content; this link ensures the continued success of SEO techniques as long as it exists. SEO is cost-effective –As compared to other forms of online marketing such as PPC advertising, social media marketing, or purchasing leads for an e-mail marketing program, SEO ranks first when it comes to return of investment. While PPC may drive more revenue and social media may be more important for your image, your organic SEO in many ways remains foundation of your online presence. Search engines grabbing more market share – In In this internet era, about 80-90% of customers read online reviews before making a purchase. This number is only forecasted to increase. It won’t take long before virtually everyone is searching for products and services online. Do you want them to be able to locate your company or not? Without a well planned organic SEO strategy in place, users will have a very hard time finding you and will instead find your competitors themselves using SEO. Rise of mobile bandwidth and local search optimization – With an increased amount of Smartphone users, traffic delivered to mobile devices is expected to exceed that delivered to traditional desktop devices. With this explosion in mobile usage, a whole new world of effective SEO techniques have opened up for companies, such as local search optimization. Not having a healthy content profile is damaging –As mentioned earlier above, with each and every update to its search algorithms, Google and other engines change the way they look at websites with each updates. Things which didn’t exist a few years ago, such as social media indicators, are now given fairly high importance in terms of their impact on your rankings. Not building a healthy content profile spread out months and years is potentially damaging to your business, as it is one of the factors Google take into consideration when ranking your companies’ site. Your competitors are doing it – Remember, SEO is a never-ending process. If you’re not moving forward and improving your position, you’re losing ground to a competitor who is. That’s a simple fact of how the process works. Don’t let your competitors out maneuver you by ignoring this valuable tool for your business. Pertaining to the number of online businesses, investing in organic SEO is more important nowadays than ever before. Companies should choose sound SEO companies for the current trouble everyone finds themselves facing concerning the lack of organic keyword data and traffic. Your company absolutely needs to have an SEO strategy in place if you are interested in succeeding in terms of online marketing.It remains one of the single most important components of any organization’s branding efforts and online presence. This entry was posted in Online marketing, Search Engine Optimization, Web design, Web development and tagged internet marketing mauritius, keywords SEO, online marketing, online marketing mauritius, Onsite SEO, Search Engine Optimization: How to, Search Engine Optimization. 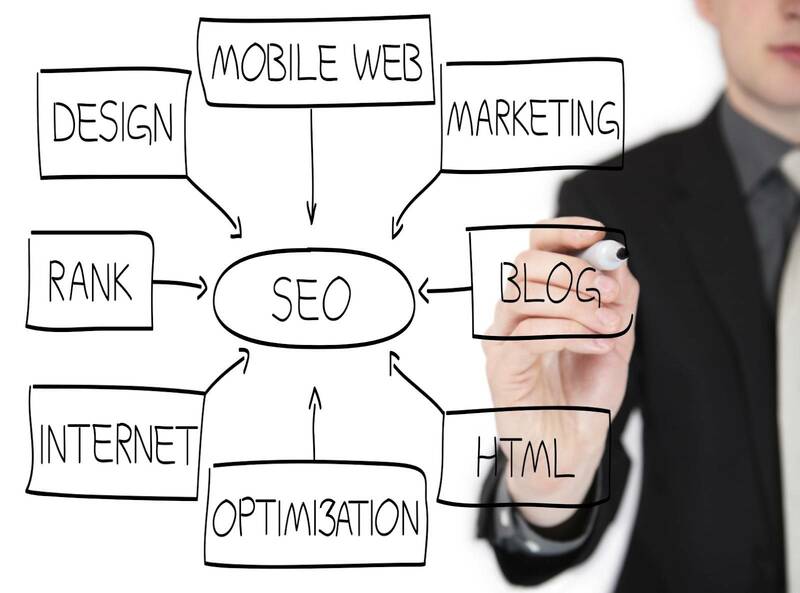 SEO strategies, SEO mauritius, website, website content on October 13, 2014 by admin.